Cutting the Cord and Cutting the Bills: What is your favorite media player on your Media PC? 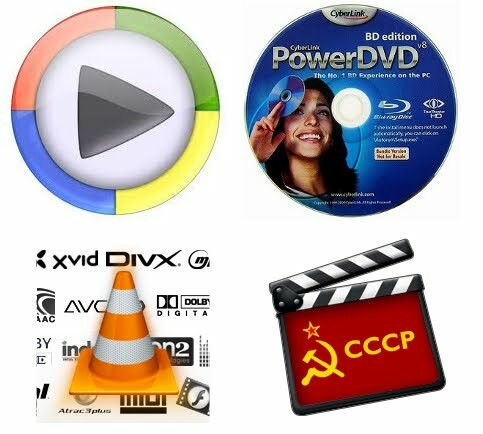 What is your favorite media player on your Media PC? If you want to dive into the technical details of video players (e.g. formats, codecs, post-processing and hardware acceleration) this is an area of literally endless tweaking and experimentation. There are great resources on the web that can help you (avsforum, guru3d, etc), but this is a tough road to travel. If you have time to kill, you've found the right hobby. However, for most of us, all we want to do is play our videos!. If this is you, I'll share my secrets to getting things to work with a minimum of fuss. First: what does bad video playback look like? Before we get started, let me just describe one of the things I hate about bad video playback. It is hard to describe in pictures, but simple in words. If you are watching the ending credits of a movie (with the text rolling up the screen), does the text scroll relatively smoothly? Or, if there is a scene with a car driving across the screen, does it appear to jump unevenly? Of course there are lots of other problems that can happen with video playback, but this is the one that bugs me the most and can make a movie nearly unwatchable. Assuming you have capable hardware, this is solvable with drivers and good player software. Graphics drivers are necessary evils. They provide the capability to accelerate playback of high definition video (enabling us to use fairly modest systems for our Media PCs). However they are also a huge source of frustration as they can break your system in a myriad of ways. The trick is to find a driver that has the latest features while also being stable. No graphics vendor (ATI, Intel, Nvidia) is perfect and they all (at one time or another) have a reputation for causing massive headaches when releasing new drivers. I've certainly had my problems with ATI drivers. For example, if you use ATI CCC versions less that 10.2 you may have a problem playing back video after your system resumes from standby. If you use versions 10.4 or later, you may have a problem saving overscan settings (I fall into this camp). Fortunately, I've found a solution to this later problem (see my update on my software install page). While you might be tempted to find a version that works for you and stick with it (not a bad choice), you could be missing out of the latest tricks to wring the most performance out of your integrated graphics system. So, should you just use the latest? Maybe, but there could also be "custom" drivers that you can try. In browsing around for stable graphics drivers, I found someone at Guru3d that has put together a modified set of drivers (based on 10.7) that attempts to provide the best performance and stability. I'm currently using them and haven't had any problems so far. You can check out his thread (and download the drivers) from Guru3d here. Otherwise, I'd recommend upgrading your driver only if you have problems that you'd like to see fixed. Try other media players first (they might fix the problem). Also, be prepared to roll back your driver in case it doesn't work or causes some other problem. Note: Guru3d's DriverSweeper is a really handy tool to have to make sure you cleanly uninstall previous drivers. Unfortunately, Windows 7 can't, by default, play BluRay discs. If you want to do this or want to play back ripped BluRay ISO images you are going to need some additional software. I specifically bought the "so-called" retail version of my BluRay Rom drive so that it came bundled with CyberLinks' PowerDVD 8 software. This will play BluRay Disks or ISO images with full menus. Since it is a bundled version, it is also (unfortunately) crippled in that it won't play back high definition audio. I don't care about this limitation, but you might. Another option to play back BluRay discs is to rip them first. MakeMKV or DVDFAB HD will do this (see the tail end of my post on Media PC software installation). Once ripped, I've found that you can get away with using Windows Media Player or MPC-HT (see below) to play them. This might not work in all cases (YMMV) and certainly isn't very convenient. Windows 7 comes with Windows Media Player and I personally dislike it's default interface. However, WMP works quite well as a player so it is worth getting over any bias against it. Once I learned a trick, I no longer have a problem with the interface. My main issue is that I don't want to use WMP to manage my media I just want to use it as a player. Now you can bring up WMP and load any local or remote file you want. You can even play DVDs ripped to files (just go into the video folder and select the first file). WMP has even played a couple of ripped BluRays that I tried as well (without menus though). Of course, you can also play media files directly in Media Center (and without adding them to your library). For playing physical DVDs, I find that this is the closest experience to using a stand alone DVD player. Also, when Media Center is active and you hot-plug a usb disk or flash driver, Media Center will browse and play your files. However, I don't find Media Center to be very convenient when trying to play files shared from other PCs. For that purpose, I usually exit Media Center and go for Media Player or one of the two players below. If WMP or PowerDVD (or the like) program isn't doing it for you, I highly recommend installing some multi-purpose media players. Two players that I like are Media Player Classic Home Theatre (MPC-HT) and VLC. You could get MPC-HT by itself, but I actually recommend getting it as part of CCCP (stands for the Combined Community Codec Pack). Since the default version of CCCP is a bit old, I'm actually running the more recent beta version that you can find here. MPC-HT (and CCCP) is a Media enthusiasts dream as it has endless options for tweaking your video experience. Don't worry as it also works just fine out of the box and is a great player to have handy. There is also VideoLan's VLC player (a bit more well known than MPC-HT). VLC is a really good all-in-one player that does a lot of things quite well. However, I tend to use VLC (as a last choice) as I find that both MPC-HT, Media Player (or even PowerDVD8), provide better quality playback. As an example, playing DVDs (ripped to files) on VLC (for me) tends to result in some dropped frames (e.g. video stuttering) on my system. Both MPC-HT and Media Player have flawless DVD playback (as near as I can tell). Nevertheless, you should install VLC as it is a very handy player and is constantly being updated. Summary: If one doesn't work, just try another. The good news is that you don't have to settle for poor video playback and/or lots of tweaking. As long as you have a recent system and good drivers, chances are that you can get good, great or even fantastic results with a minimum of hassle. I still am truly amazed at how good my movies look when played with the right player! The only bad news is that you might have to try more than one player. Fortunately, there are lots of (easy) choices and the ones mentioned here will probably work for most people on just about any content imaginable. So, what is your experience with media players and which one(s) are your favorite?